I love glass bottles! I don’t know where the obsession came from, but anytime I empty a glass bottle or jar, I just can’t throw it away! I re-use them to store pantry items or I will put some vintage looking labels on them just for decorating in my home. 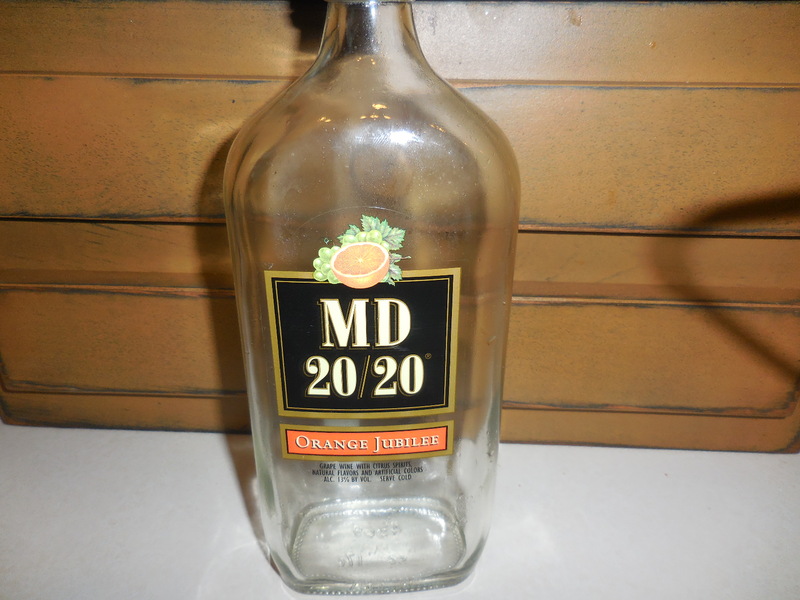 When I finished this bottle of MD 20-20 Orange Jubilee (the best part of this project) I knew I needed to save this bottle! How cool is the shape of it! 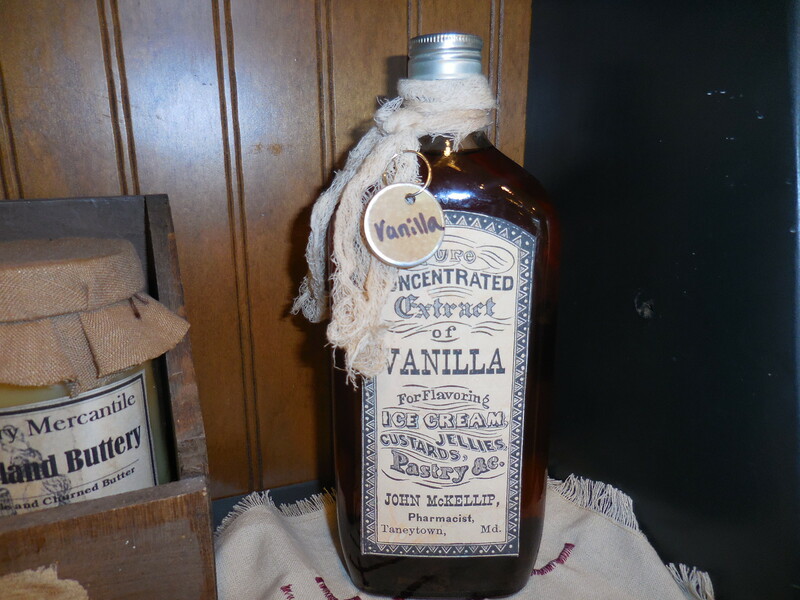 It’s just the right size to use to make some homemade Vanilla! 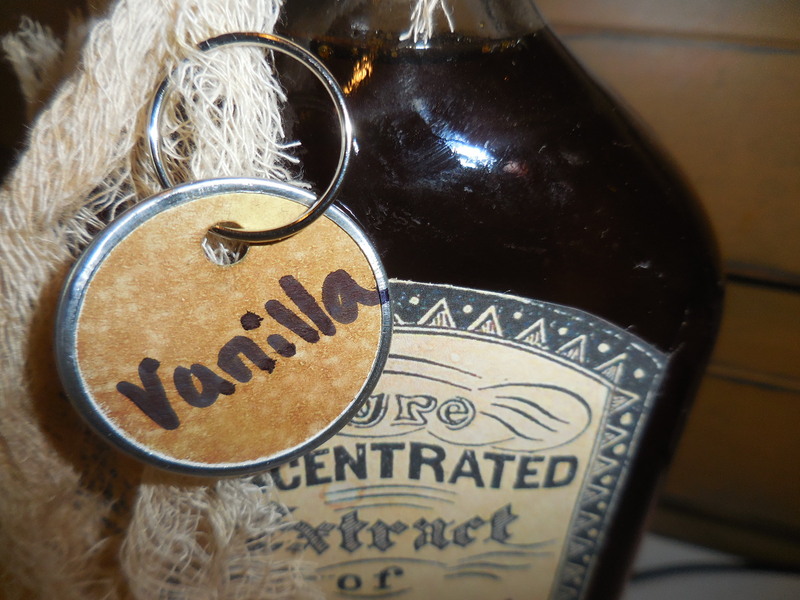 So let me show you how I decorated it and how I made the vanilla extract. 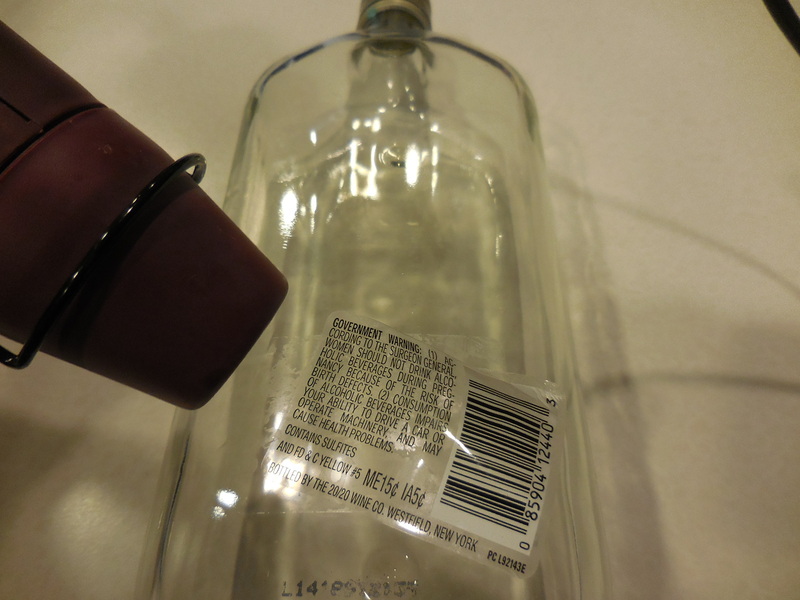 First, I used my heat gun to loosen the label (a blow dryer will work too). Once the labels are peeled off it leaves a sticky residue. The easiest way I’ve found to remove it is Goo Gone! I love this stuff! Just spray it on and take a paper towel and rub it until all the glue is removed. Then wash in soapy water and dry it. 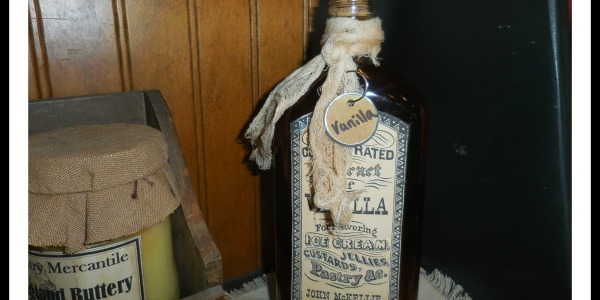 I found this vintage looking label from the Graphics Fairy…all her printables are free!! You can find it HERE! I purchased these Avery shipping labels and downloaded the free template. Then I uploaded the saved label and printed it off on my printer. 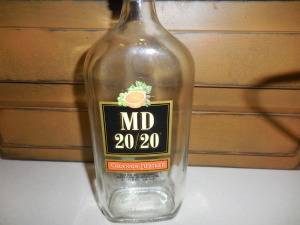 This is a colored label. so it prints off just like this. There are black and white ones available as well. 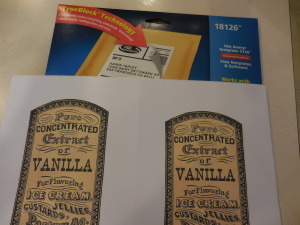 If you don’t want to purchase the self-adhesive labels, you can always use packing tape over the entire label to adhere it and make it somewhat water-proof. If you are using just for yourself, that would be okay to do, but to give as a gift I would definitely buy the labels. 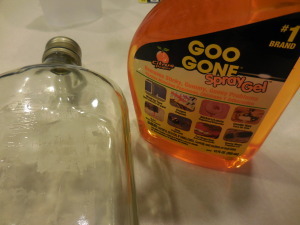 Cut around the label and then peel off the back and adhere it to the front of the bottle. How simple is that!! Woo Hoo! 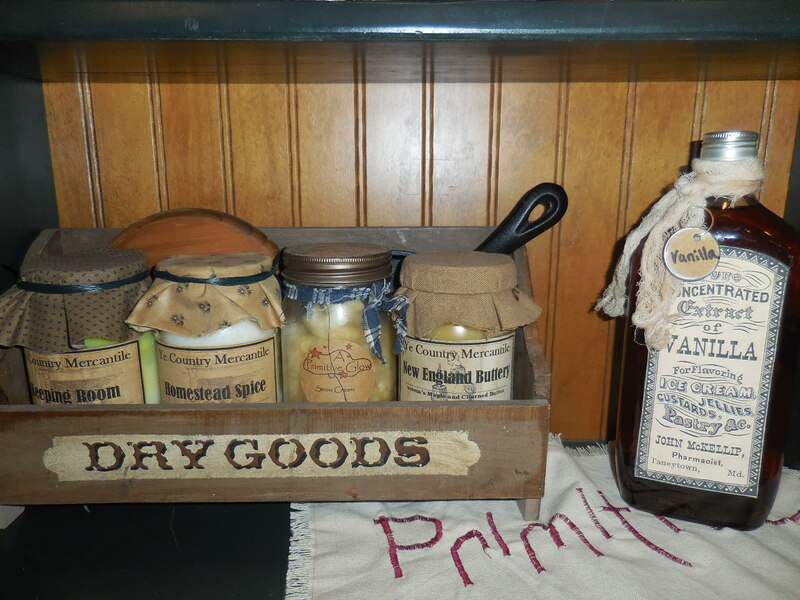 To make it more primitive looking, I added a piece of coffee stained cheese cloth. Cheese cloth can be found in the paint aisle at Wal-Mart. Just add it to some strong coffee or tea, let it soak until the desired color, and hang to dry. 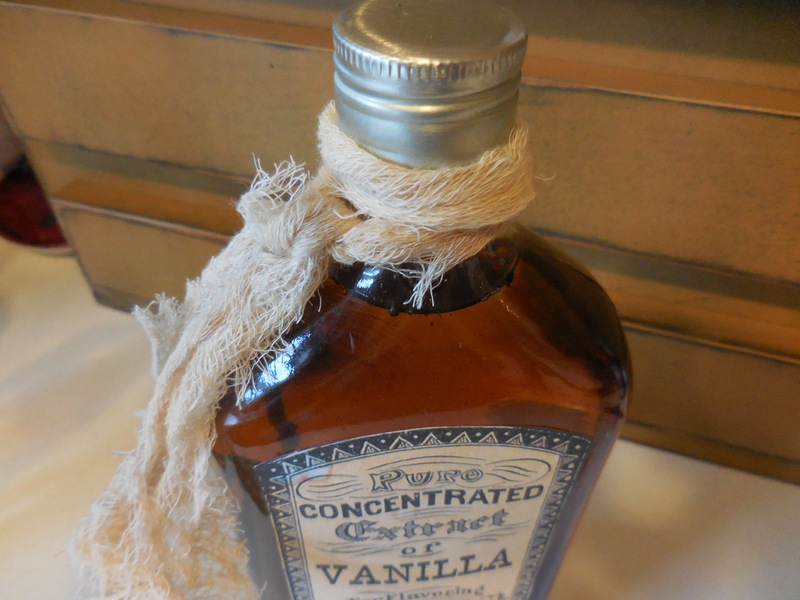 You can also use a piece of homespun fabric! A few months ago, I found a box of these round labels for 99 cents at Goodwill. I used some distressed ink and a sponge just to make it look old. 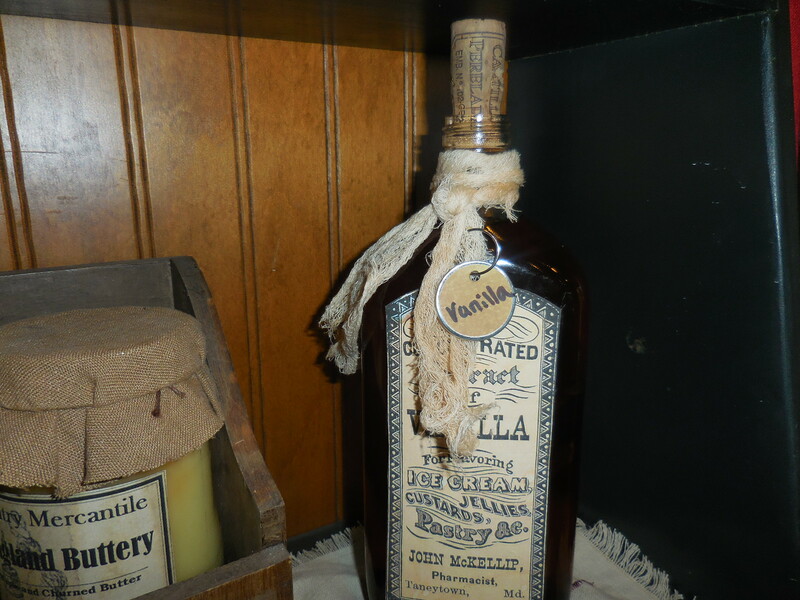 Then I took a fine tip sharpie and wrote the word Vanilla on mine. You can add any saying you want, such as “homemade” “made with love” “Merry Christmas” if giving as a gift! You can purchase these at any office supply store. To make the Vanilla Extract, fill the bottle with Vodka! 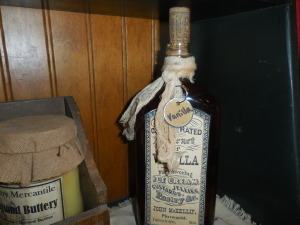 You didn’t know Vanilla Extract was made with Vodka? Use the cheap stuff! 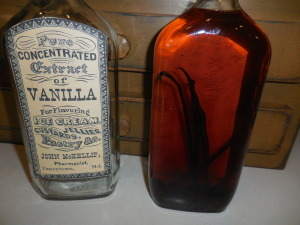 Add 6 vanilla beans cut into pieces, no need to slice them and scrape the seeds, that’s just a waste of time. I found vanilla beans on Amazon. I received 40 beans for $20.95 and free shipping. In the past, I’ve paid $8-9 just for 2 beans! 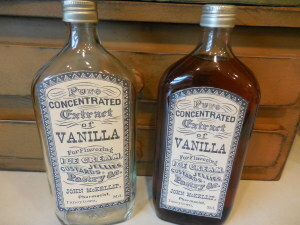 Once you put the vanilla beans into the vodka, shake it once a day for one month! Just in time for Christmas if you get started now. And just think how much fun you will have emptying those bottles! I put mine on a shelf in my kitchen. You can switch out the cap for a cork! 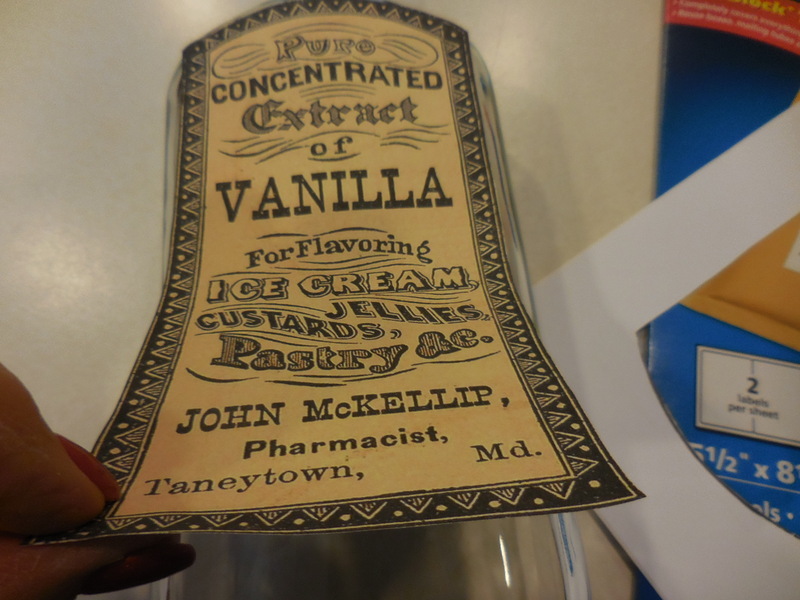 Can’t wait to use this when I start my holiday baking! You can continue to add vodka to replenish your vanilla supply! It will keep for years! It was so nice of you to stop by today! I hope you will let me know you were here by commenting below! I’d love to know if you ever made vanilla extract before?